Government organizations, independent research bodies, and other organization would do a health survey for a variety of reasons. It would be for formulating policies or to study the state of health care within a state or country. The health survey template would either be a health questionnaire to be answered by people or a health care survey which presents the data collected and the inferences based on the same. You can also see Blank Survey Templates. An annual health survey is a report of a health care survey done. The health survey consists of asking a set of questions to a healthcare provider and then using extensive statistics to measure the performance of the provider. It represents the real state of health care in the country. Based on this report further action or improvement steps cab be taken. The national health survey is to hold a survey of a large sample of people at a national level regarding their health and their life habits. A detailed health questionnaire would be prepared and people who wish to volunteer can take part. 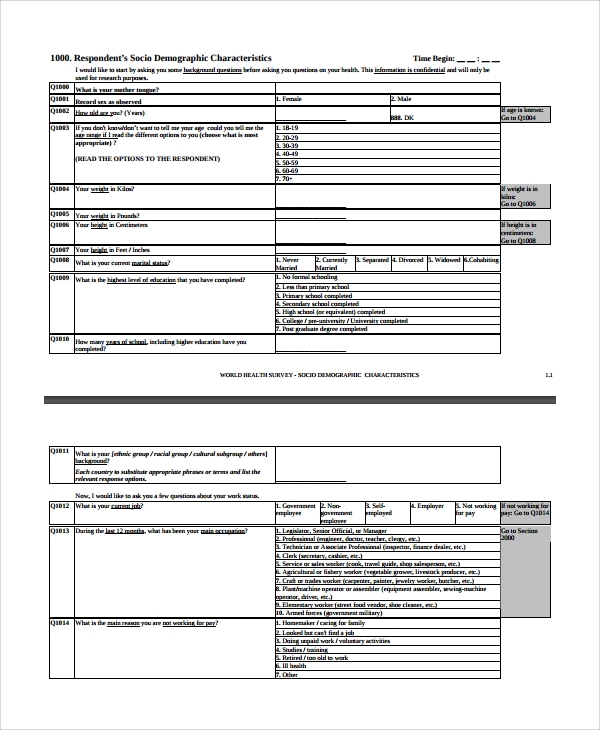 The survey template contains the questions asked and the methodology of the survey. Then the results are represented by using statistics and presented to the stakeholders. The government would introduce programs for taking care of the mental patients. To understand the effectiveness of the programs they have carried they come with mental health surveys. These surveys are conducted at the hospitals where the program has been implemented. 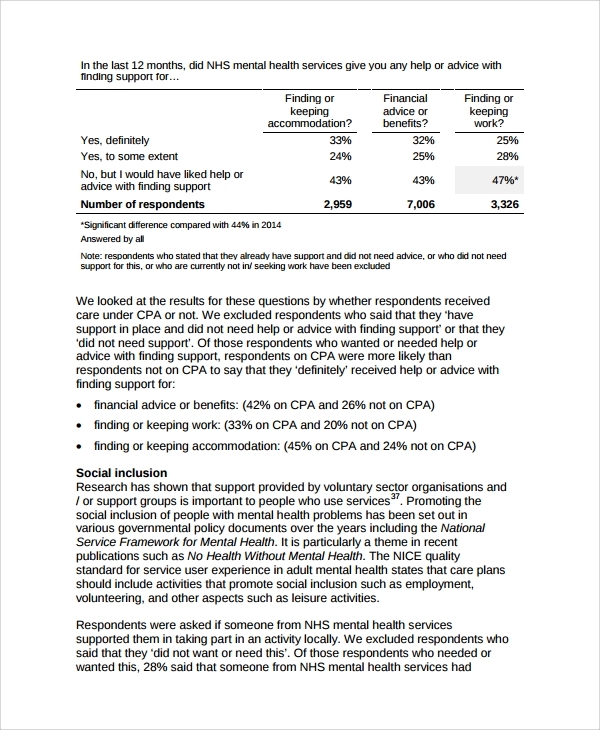 The mental health survey comes out with its findings based on the answers from the questionnaire and their use of statistics to show the trends. The world health survey is conducted by organizations like WHO who dictate global health objectives and have policies which need to be implemented by most countries. The world health survey is a series of questions regarding various parameters of the health of people and also about healthcare. Based on the answers and findings these organizations can look at how to improve the present system. It gives a holistic picture of the state of health in the world. Health Survey is done for a specific purpose. The government would have initiated health programs to get rid of diseases like polio or leprosy. These programs run for long periods and may be years together. The health survey would frame questions and get data about the effectiveness of the program. The results help the government to take necessary action. The health survey also allows creating a question bank for the survey. 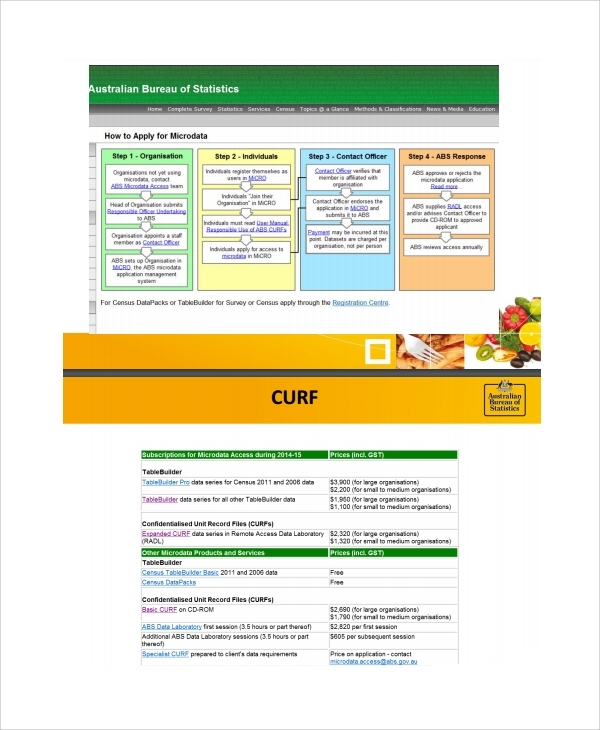 It helps to standardize and present the data in a structured way. You can also see Employee Survey Templates. 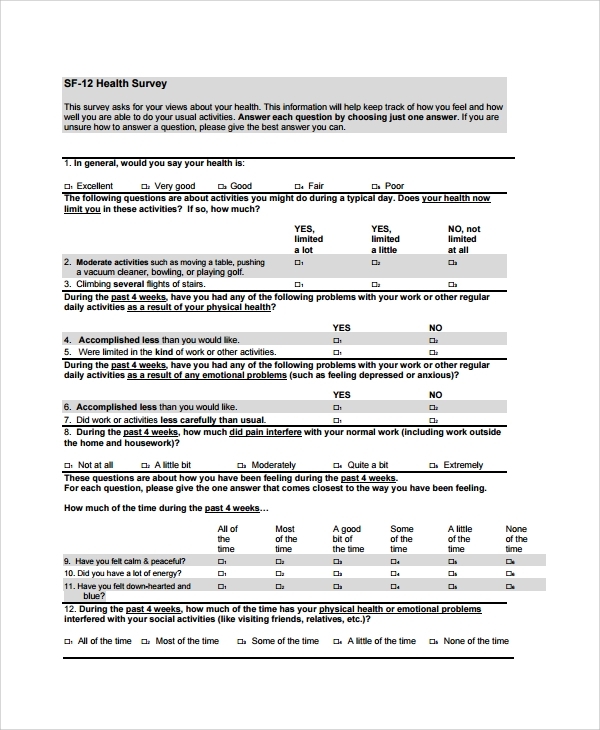 Health survey templates are available on the internet. One can use it to create one’s own template. The person who creates the questionnaire template should be well versed in creating survey questions and need a good creator of presentations to create the health survey. 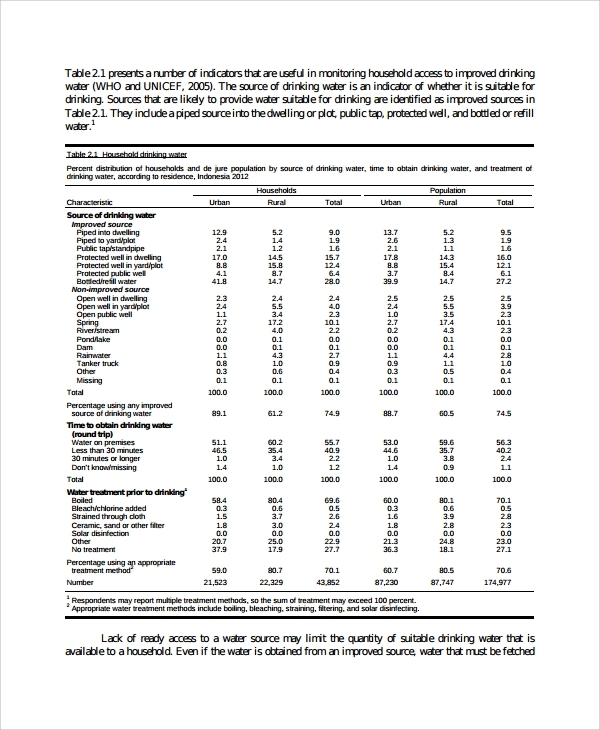 The detailed working of the findings using statistics should be mentioned after that. 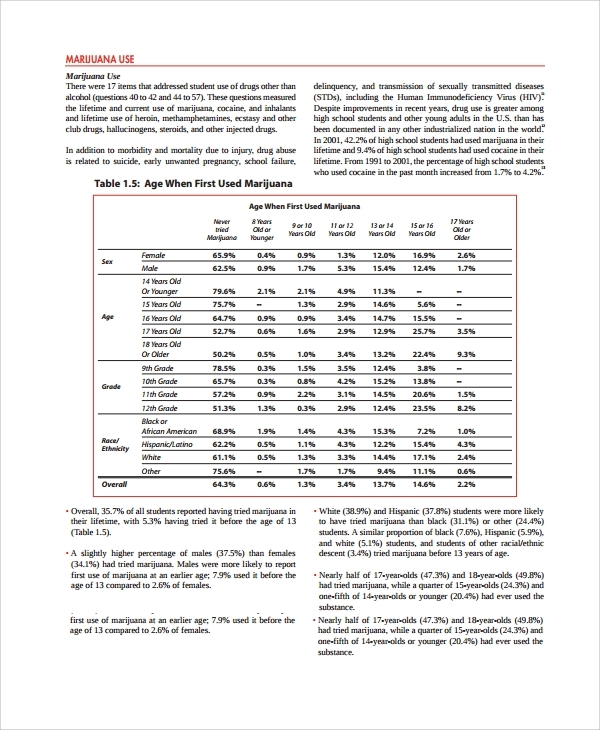 You can also see Church Survey Templates. We have health questionnaire bank available in pdf format and it is in printable format for people to take to the field. 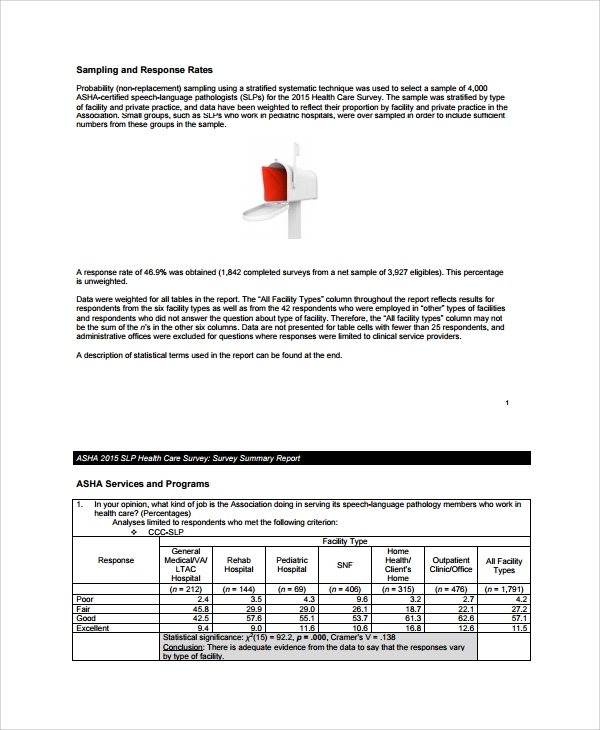 We have standard health survey templates in powerpoint, word and pdf documents. You can use the same and create nice reports. We can also help you if you want to create one for yourself.